Vizz Group, an independent advertising agency, has bagged PR and digital duties for the 2nd Summer Youth Olympic Games, which falls on the August 16 in Nanjing. The win follows an open pitch involves with global creative giants including Ogilvy & Mather Shanghai, Publicis Shanghai as well as local digital firm Guru Online. Vizz Group will be responsible for mainstream PR events and social media planning. Patrick Wong, director of Vizz Group, told Marketing the win was due to its integrated service bridging online to offline. “There has been a recent trend of brands increasingly seeking more integrated offerings. Traditional PR events are leveraging social media to help generate results online,” he said. He went on to say that existing structures in global agencies are sometimes too complicated to provide seamless service to clients, especially when it comes to linking up online to offline. Established in 2002, Vizz Group is a Hong Kong-based IT and online marketing solution provider whose clients include Yahoo, Times Square, Cathay Pacific Catering Services, International HK Film Festival and Suning. 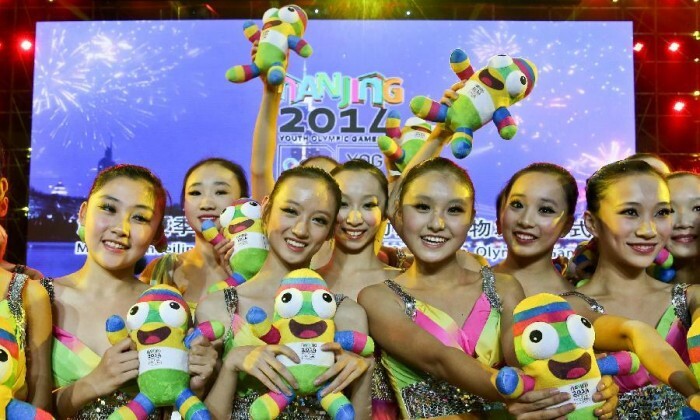 The Nanjing 2014 Youth Olympic Games, which encompasses 28 sports from 16 to 28 August this year, is co-sponsored by Coca-cola, McDonald, Visa, Omega, P&G, Panasonic, Samsung, GE, Atos and Dow. Newgate seals agreements with two Asian firms in Taiwan and Macau. ..
Digital experts agree; Yahoo buying Tumbler is a smart move, but the web giant does not have the best history when it comes to acq..
Viacom International Media Networks (VIMN), a division of Viacom Inc. (NASDAQ: VIA, VIAB) and Solar Entertainment Corporation, a P..